Intelligent traffic lights and a tech solution to boost freeway speeds are part of an almost $700 million transport package announced by the NSW government. 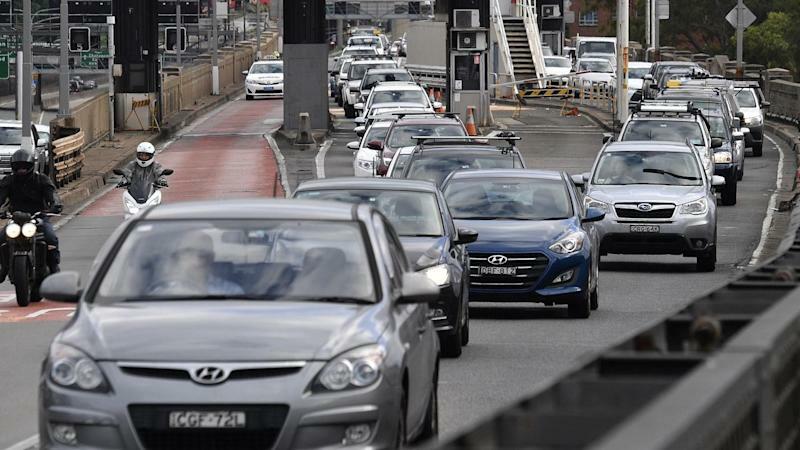 Premier Gladys Berejiklian on Friday said upgrades to 500 intersections across Sydney, Newcastle and other regions would allow better monitoring and adjustment of traffic flows to ease congestion. Traffic control techniques that adjust speed limits to ensure smoother traffic flow will also be introduced at on-ramps for major motorways such as the Gosford-to-Sydney highway, she said. "The most exciting part of this program is that it takes pressure off families, whether you're going to and from work, to and from sport or just trying to move around," she told reporters. Roads Minister Melissa Pavey said the program, which includes $95 million for a trial to digitise parking signs, would begin in July and be completed within two years. "It's about building better roads but it's also using our roads smarter," she said. Ms Berejiklian on Friday met voters at Revesby in the East Hills electorate, which is the Liberals' most marginal seat. Glenn Brookes retained East Hills in 2015 on a margin of 0.4 per cent but isn't recontesting the seat, leaving it to Liberal candidate Wendy Lindsay to take on Labor's Cameron Murphy. Asked about her party campaigning with robocalls - even to safe seats - the premier said there was no sense of panic about the coalition losing seats. "We don't take anything for granted ... we know it's a tight contest and there is a lot at stake," Ms Berejiklian said.